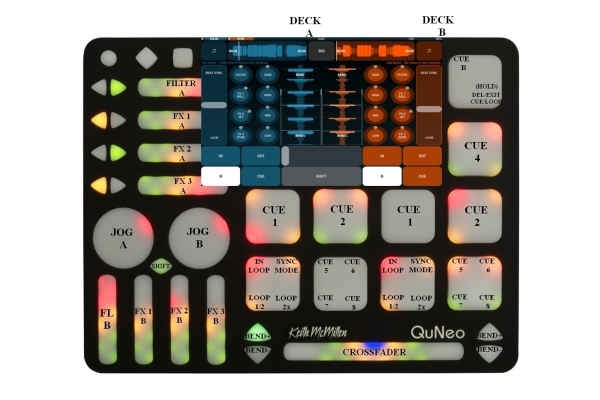 Any QuNeo users out there looking for some DJ magic with your iDevice?Introducing QuNeo DJ Player preset mapping! --Click on DJ Player folder and open "documents"
*Tested & working with iPhone 5.Other iDevices should have no trouble working either. Last edited by Yorgos Arabatzis on Mon Mar 07, 2016 9:10 am, edited 4 times in total.